We are starting Black Friday 2018 a whole week early this year. Get ahead of the crowd and save big on your next adventure. 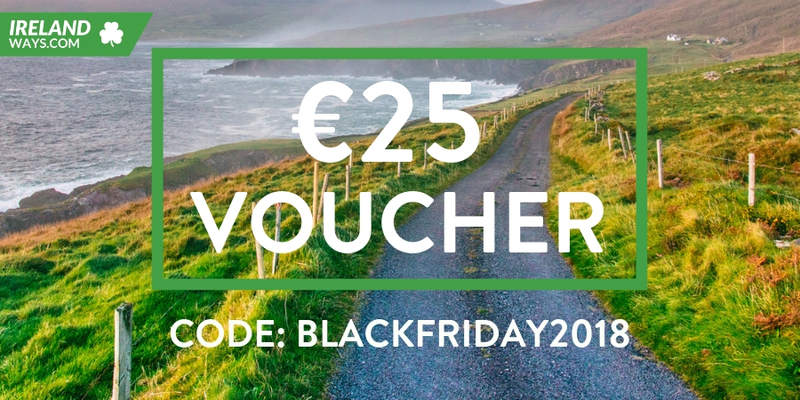 We are giving away €25 OFF per person for bookings made from Friday 16th until Friday 23rd November * on all Irelandways.com, Caminoways.com and Francigenaways.com self-guided tours. This special Black Friday travel deal can be enjoyed in addition to our 10% OFF Early Bird Offer so don’t miss this opportunity to book your Ireland adventure 2019 at a fantastic price. To claim your Black Friday Camino discount quote BLACKFRIDAY18 when booking your trip at Irelandways.com. The Irelandways.com Black Friday travel deal is only available from Friday 16th until Friday 23rd November at midnight. 8-night trip walking the fabulous Wicklow Way includes standard accommodation with breakfast, luggage transfers, walking notes and holiday pack. Original price €1,641 for 2 people sharing, now only €1,427 for 2 people sharing / €713.50per person with our Black Friday and Early Bird discount. Save €214 (€107 per person). *Terms and Conditions apply. 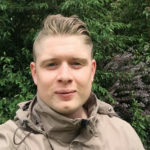 Black Friday travel deal available for all CaminoWays.com and IrelandWays.com bookings confirmed from 16th-23rd November, both days included. Offer is applicable to self-guided tours, bookings of 5 nights minimum.